What do you need if you want your business to succeed? The answer is a creative business idea. It can make you a millionaire (or a billionaire!). The thing with ideas is that sometimes they work and sometimes they do not, but without all these creative ideas we wouldn’t have the aeroplane or the television! Well every aspiring entrepreneur is always searching for the next big idea that will make him successful, so here is a list of 8 websites with business ideas that will surely help you a little in your search. Check them out! The name says it all. The ideas present on this site are taken from around the planet, gotten scanned from publications, from different industries, and then shown in a bi-weekly newsletter. The ideas are also present divided different categories. They have some really creative ideas. Springwise takes new and creative business ideas from around the planet and simply puts it in their ideas database. So basically this site has every kind of ideas and it covers about 150 countries for business ventures, ideas and concepts. It also has an amazing newsletter. A must check out for all the aspiring entrepreneurs. As the name suggests, Trend Watching actually looks out for all the consumer trends worldwide. Free and paid offerings are present. You can get the monthly trend briefs for free but you are required to pay to get the comprehensive annual reports and the trends database. An aspiring entrepreneur can analyze consumer trends on this website. The briefings seem compiled and authoritative. This blog has a category for business ideas. Presently, there are 969 business ideas that you can start working on from today. From beginning computer classes to becoming a dog walker — there are a lot of ideas. It also boasts a useful Business Idea Finder, using which ou can filter business ideas by startup costs. You can also find many success stories to read if you are looking for some inspiration. 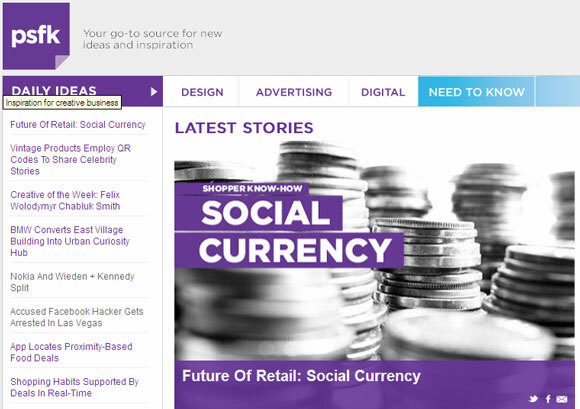 PSFK covers design, digital, marketing, media and technology. It provides you with ideas daily and then they have all the events going on around the planet like the PSFK Salons and conferences, where leaders discuss ideas. If you are in to design innovation, then you should definitely check out this website. 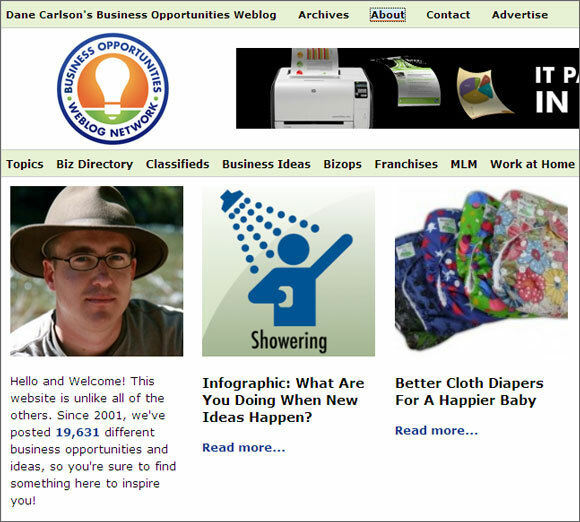 It boasts over 19,000 business ideas. This site is based on the principle of letting the aspiring entrepreneurs find the business that is right for them. Their business opportunities directory is arranged in neat tags, categories, and also chronologically. 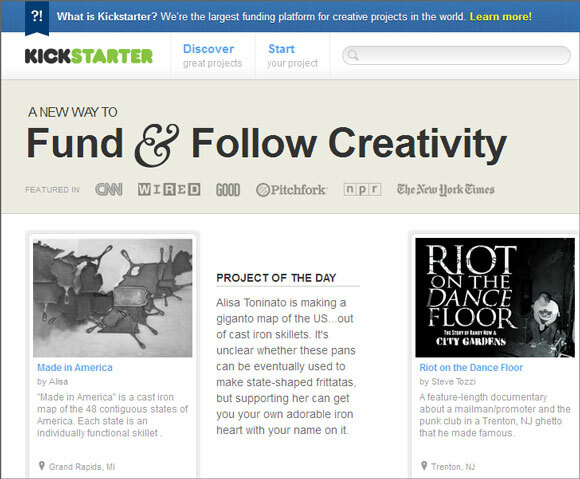 Kickstarter claims to be one of the biggest crowdsourced funding platforms worldwide. Projects in the fields of music, film, art, technology, design, food, publishing and other creative areas are being financed by people from around the planet through this web service. If you want to see what people around the world want to create, then simply click on the Discover Projects. You can get inspiration, then make your project and finally look for backers. Quirky is a website that revolves around product ideas. You have the choice of submitting your own or participating to help develop someone else’s. Submission fees is $10 to apply for your own product idea, but you don’t have to pay anything to participate. Being a community member, you have the ability of influencing product development by voting and rating ideas. Your own idea can become a lot better with all the feedback and help from the community and Quirky’s own support. Quirky claims to bring 2 new products to market every week. Do share with us in comments below if you know any other good business ideas website. Fantastic tips. Freelancing is hard but worth the efforts. In fact, Destiny Islands was constructed entirely as a freelance effort! The team is small but versatile. Effort Share is the catalyst for housing new business ideas, products, concepts and services. Empowering entrepreneurs to take their ideas to the market, giving opportunity to subject matter experts to add value to the ideas whilst opening the gateway for investors to find ventures to sponsor.